As if the sweltering New York City summer wasn’t enough, on July 10 men’s label Parke & Ronen steamed up New York Fashion Week by sending down the runway a plethora of muscled beach boys in an array of pastel colored ensembles, retro striped knits and vibrant swimwear. For its Parke & Ronen 2019 Spring Summer collection the label drew inspiration from the beauty of the Malibu landscape, combined with the synthetic culture of 1980s Los Angeles. Those references became clear when one of the models stepped out sporting a double shirt with a popped collar. Others sported sleeveless sweatshirts that totally reminded us of Baja hoodies. “We’re picturing the cool-kid skater boy meets the preening peacock from Muscle Beach, with a healthy dose of the Hollywood hustler’s bravado thrown on top,” said designers Parke Lutter and Ronen Jehezkel of the Parke & Ronen 2019 collection. And the cool kids were present off the runway as well, from Russian Lyft driver-turned-supermodel Vas Golohvastov to actor Andrew Rannells and Insta-sensation Eric Rutherford, who sat together in the show’s front row. 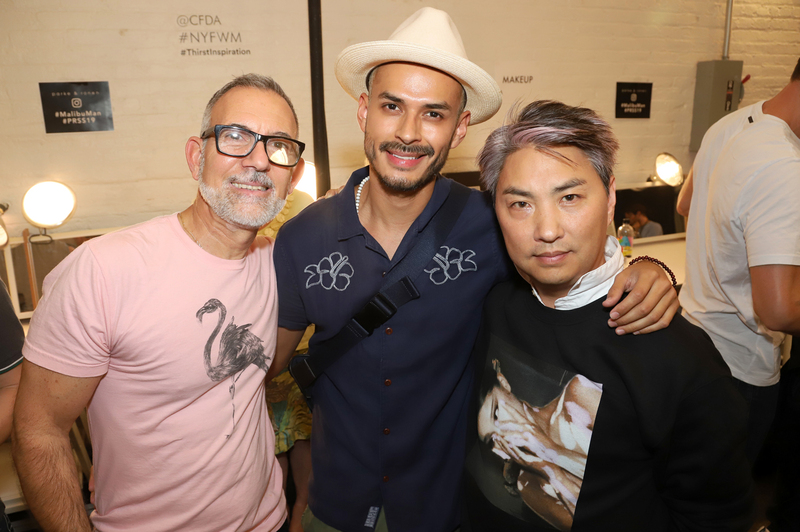 Meanwhile, backstage Luke Volker, Yoel Fernandez and Rafael Miller were among the male models flaunting their Parke & Ronen signature undies, making the already warm room even hotter. In the front of the house attendees were able to snap pictures in a Malibu Ken-inspired photo booth before walking into the show. By now Parke & Ronen’s multicolored designs have become a staple among contemporary gay men. Last year the designer duo celebrated two decades of itty-bitty swim briefs and laidback beach clothing. And this season they delivered yet another colorful collection that’s sure to add sparkle to any guy’s summer wardrobe. What do you think of the Parke & Ronen 2019 collection?